Congratulations on your new plant purchase. If you treat your new landscape well, and follow these few short and simple instructions, your new purchase will reward you for years to come. Before planting, choose a location suitable for your new plant or tree. Exposure, soil conditions and eventual size at maturity should all be considered. However, proper placement is of prime importance to shrubs and trees, especially rhododendrons, azaleas and dogwood trees. Frisella Nursery, Inc will not guarantee any plant that is improperly placed. So, if you are not sure where to place your new plant, ask us, or if you have any questions about your plant material stop by or call us at 636-798-2555. Handle your plant with care. Do not drop or roll the root ball, pull or drag by the trunk or stems, or let the plant dry out or sit in the sun before planting. First, measure the height and width of the root ball. Add an extra foot to the width and subtract 2-3 inches from the height. This will be the size of the planting hole. 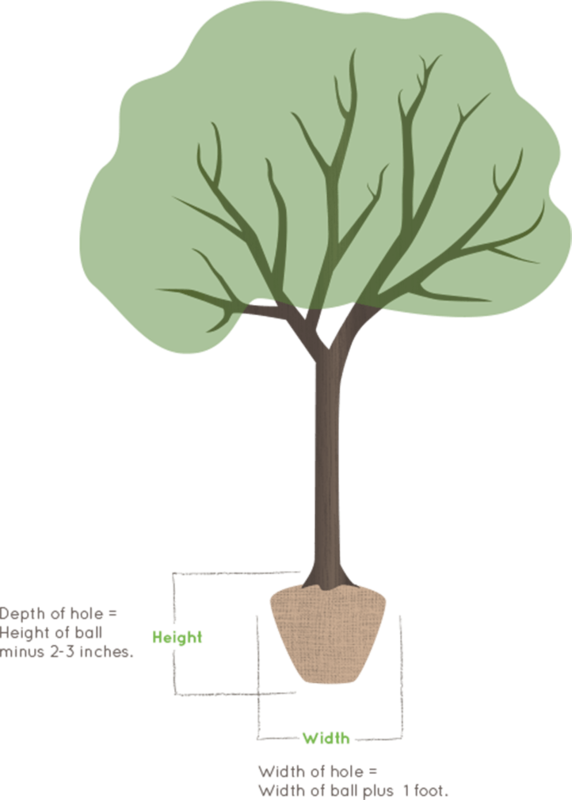 Dig the planting hole according to the measurements taken from STEP 1, approximately one foot wider than the root ball or pot and 2-3″ shallower than the root ball or pot depth. 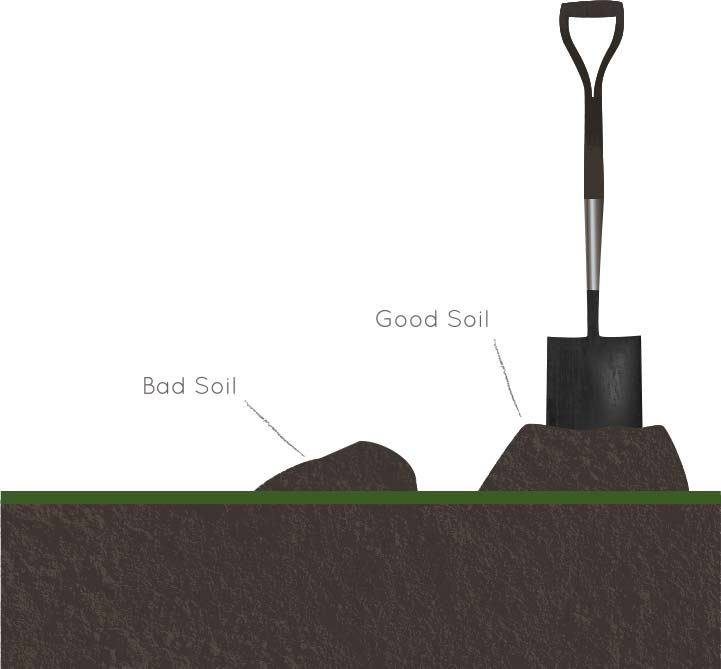 Remove about 1/3 of the worst soil, usually the last 1/3 dug from the hole. Replace this portion of soil with compost. 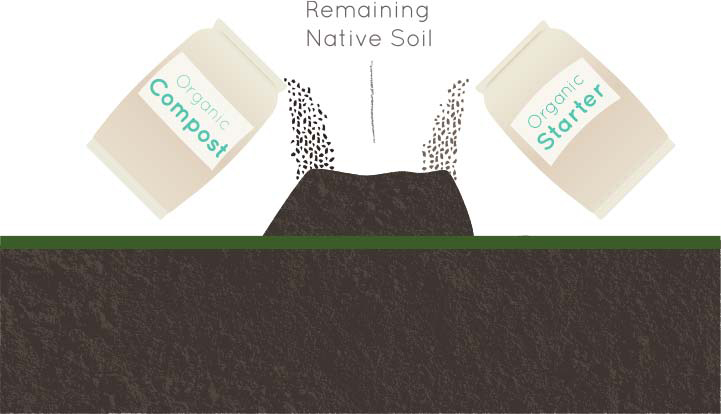 Mix the compost, remaining native soil and organic starter (i.e. Espoma Bio-tone Starter). 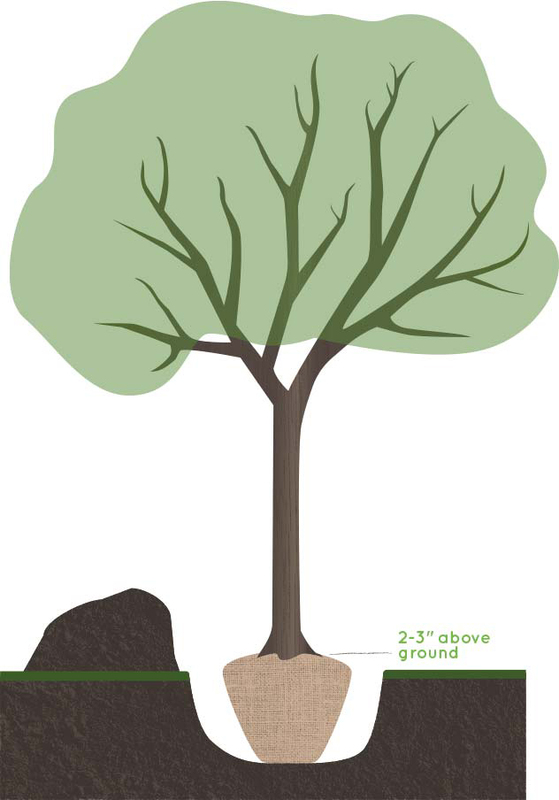 Do not add fertilizer, it can burn roots on a newly planted tree or shrub. 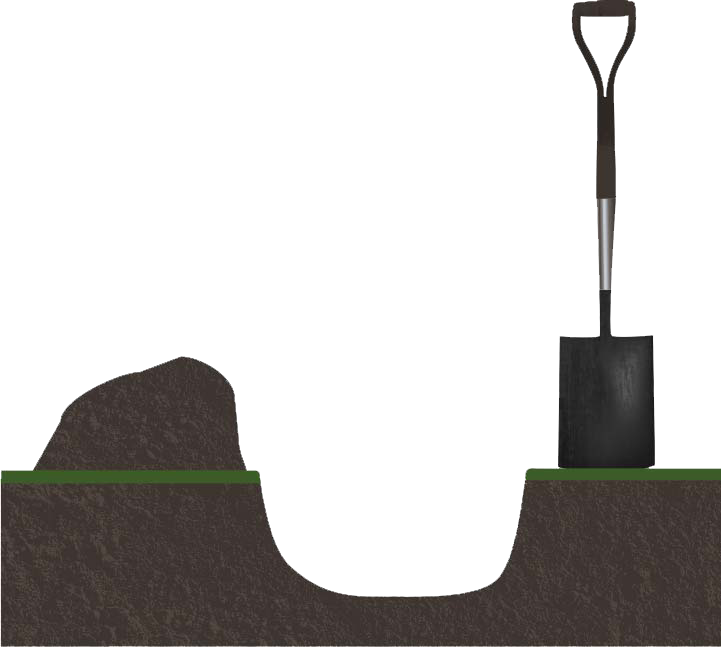 Place the plant carefully in the hole so the top of the ball is slightly higher than the surrounding ground, approximately 2-3 inches higher in heavy clay soil. Ensure plant is standing straight from at least two sides. Vertical placement is important before moving to Step 7. 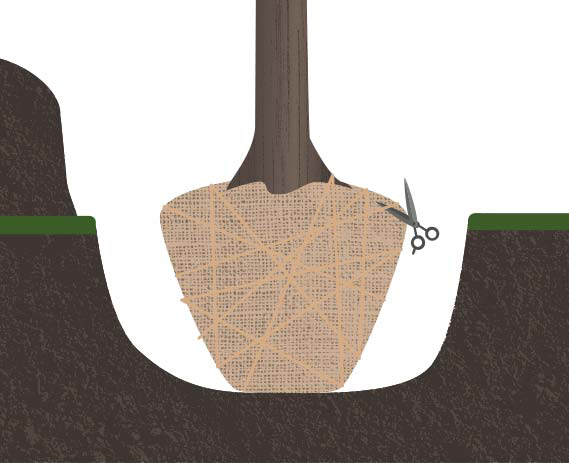 If applicable, cut and loosen all twine around the base of the tree trunk. If plant is from container, loosen any tightly entwined roots. Do not move plant after this step. 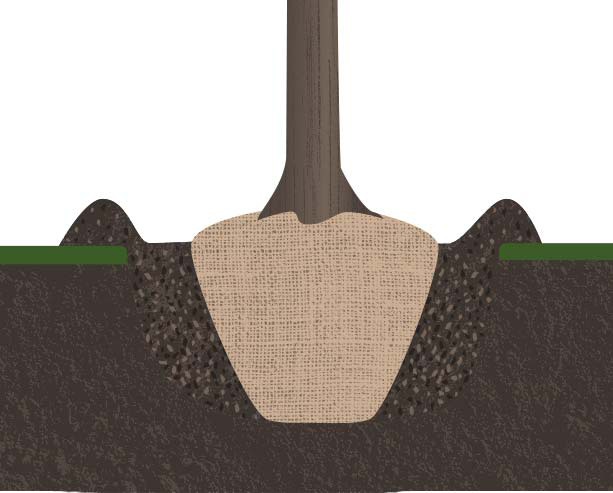 Backfill with soil mixture and form saucer around the perimeter of the hole with excess soil. Do not place soil on top of the root ball. 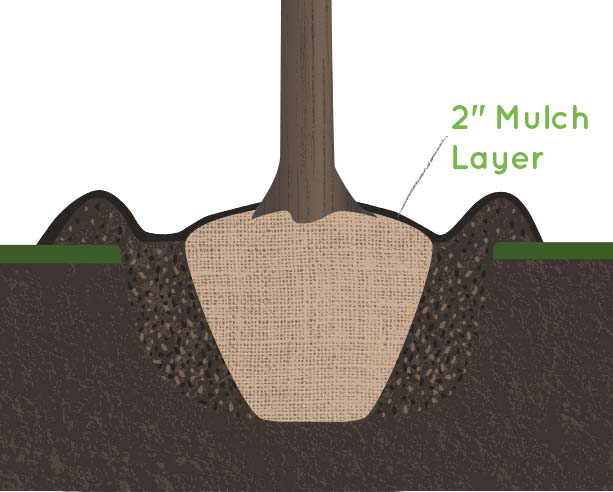 Add a layer of mulch approximately 2”thick on top of soil mixture and root ball. 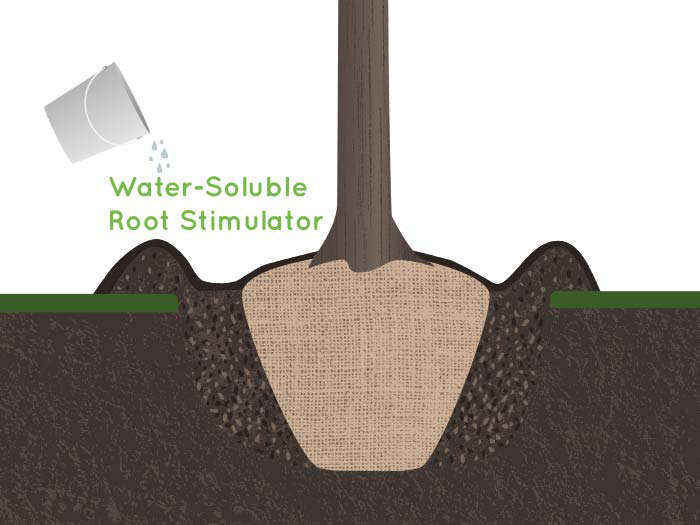 Apply a water-soluble root stimulator such as Fertilome Root Stimulator. Do not apply granular chemical fertilizer for at least one year. 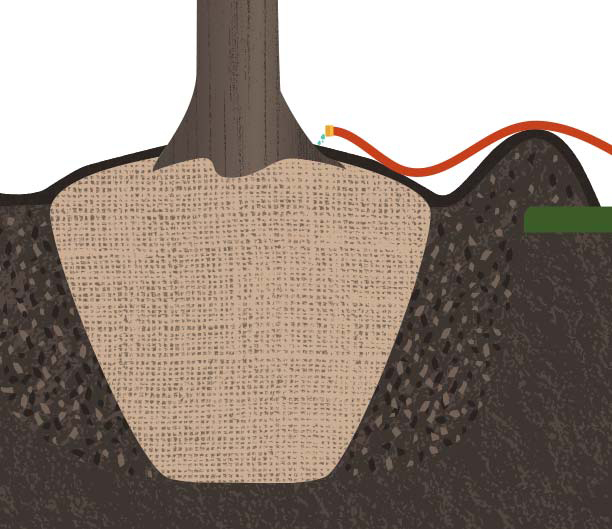 Root stimulators encourage the plant to grow roots instead of leaves, which allows it to take up more nutrients and water; this is crucial in the first year after planting. Refer to the Watering Guide or contact us with any questions.